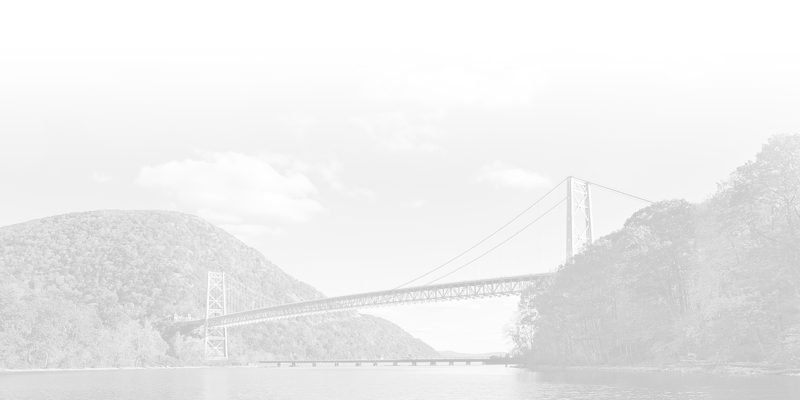 Tri-State Coalition for Responsible Investment is a membership organization with an Executive Committee that functions as a Board of Directors. 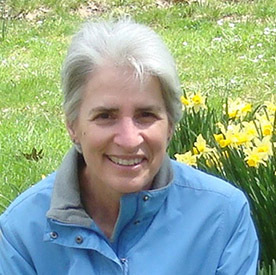 Mary Beth serves as the Executive Director of the Tri-State Coalition for Responsible Investment, an organization of 40 Roman Catholic Dioceses and Congregations of Women and Men, primarily based in the NY metropolitan area. Mary Beth represents these institutional investors to the national Interfaith Center on Corporate Responsibility, a coalition of 300 global institutional investors, including faith-based organizations, socially responsible asset management companies, unions, and foundations. Mary Beth focuses on the socially responsible investing work around human rights in corporate supply chains, climate change, water stewardship, sustainable food and agriculture, labor, and responsible financial practices. Mary Beth is the Social Responsibility consultant for institutions that engage the CRI to represent them in corporate shareholder advocacy, including the American Baptist Home Mission Society, and oversees the Coalition’s proxy voting service. Mary Beth is on the Steering Committee for the Investor Alliance for Human Rights. Mary Beth joined the Tri-State Coalition for Responsible Investment in July 2013 and brings with her experience in the field of environmental and human rights advocacy and international development. Prior to joining the Tri-State Coalition, Mary Beth directed the work of a small private foundation to develop a grant making program in Burma, focused on sustainable community based development. Mary Beth also worked with the Robert F. Kennedy Center for Justice and Human Rights as an advocate for human rights defenders and vulnerable populations before the U.S. government and United Nations, in the areas of women’s empowerment, the right to food and water, access to health care, equality, and the environment. Mary Beth also worked with the United Nations in Haiti and practiced non-profit law in Washington, D.C. Mary Beth served as a Peace Corps Volunteer in Benin, West Africa where she focused on environmental education, access to water, women’s empowerment, and HIV/AIDS education projects. Mary Beth received a B.S. in Environmental Science from Boston College and a J.D. from American University Washington College of Law. Mary Beth is licensed to practice law in the state of New York. Gina joined the Tri-State Coalition for Responsible Investment in June 2016. She supports our shareholder engagement work related to human rights, immigration, and racial justice. Gina helps lead Tri-CRI’s Shifting Gears campaign, focused on engaging companies in the automotive sector on human rights risks in global supply chains. She also manages the proxy voting service and takes care of daily office operations. Gina’s advocacy efforts as an undergraduate student played an instrumental role in shaping her passion for our key areas of engagement. Her involvement with Oxfam’s Behind the Brands campaign led her to petition for a broad range of social and environmental issues, from ending land grabs in the sugar supply chain to improving conditions for women cocoa farmers. Gina was also involved in her college’s chapter of Free the Slaves, a group dedicated to raising awareness about human trafficking, where she helped conduct a slavery footprint survey. During her semester abroad in Geneva, Switzerland, Gina interned with International Bridges to Justice, an organization dedicated to protecting the basic legal rights of ordinary citizens in developing countries. Gina graduated with honors from Grinnell College with a B.A. in Anthropology and French. She also completed a concentration in Global Development Studies. Jillianne joined the Tri-State Coalition for Responsible Investment in October 2018. She supports our shareholder engagement work on climate change, water and food sustainability, resource extraction, and indigenous rights. She also assists in managing the proxy voting service and takes care of daily office operations. Jillianne’s passion for corporate accountability and climate justice stemmed from various professional and academic experiences during her undergraduate years. Her internships with IRIS (Integrated Refugee & Immigrant Services) and the CT General Assembly Legislature fortified her skills in human rights advocacy, policy, and analysis. During her research internship with the Business & Human Rights Resource Centre, Jillianne assisted in engaging companies on issues of climate risk transparency, water protection, and indigenous land rights. As an undergraduate, Jillianne worked closely with environmental activist groups, sustainable farming programs, and international coherence initiatives. She additionally attended the 2017 UN Climate Conference in Bonn, Germany as a university fellow where she took part of the We Are Still In campaign. Jillianne graduated with high honors from the University of Connecticut with a B.A. in Human Rights and Political Science, and a minor in French. Cathy Rowan is a consultant on corporate social responsibility issues for the Tri-State Coalition for Responsible Investment, and for Trinity Health, a Catholic health care system based in Novi, Michigan. She has represented the Maryknoll Sisters at Tri-State CRI since 1994. Active in the Interfaith Center on Corporate Responsibility, Cathy focuses on issues related to access to health care, access to capital; violence in society; environmental impacts of the health care industry; and tobacco. Prior to her consulting work, Cathy was a Maryknoll Lay Missioner for 15 years, living in Sao Paulo, Brazil with her husband and two children, and working on a diocesan human rights team, women and children’s issues, and lay ministry formation teams. She has a BA in Religion from Barnard College and an MS in Rehabilitation Counseling from Virginia Commonwealth University.